pro-shrimp has no other items for sale. 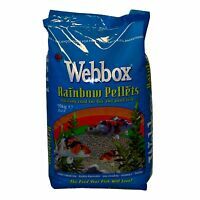 £0.00 P&P for each additional eligible item you buy from pro-shrimp, when you use the basket to make your purchase. Immediate payment of £27.89 is required. Good ebayer and fast postage . Excellent service - all good - thank you. Simple to use. The amount of drops you need to add to the test water is labeled on the bottle, unlike other products that i have been using. So if you have a short memory like me and some times forget how many drops i need to add, there is no need to look it up in the manual. And i like that there is a pH test that also measures high range pH, in addition to the normal one. Perfect for checking the parameter in for example a Tanganyika aquarium. Will buy again. I purchased this kit based on generally good comments on main aquarists' forums. It was to replace a Nutrafin kit that was past it's use by date and recording zero nitrates. So far the kit has shown consistent results and is very easy and quick to use. The box helps keep everything in it's place, although the lid isn't a tight fit. 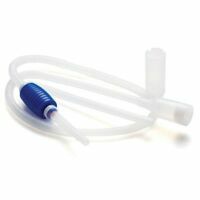 There are four test tubes with tight fitting caps that stops liquid from leaking onto your fingers when you shake the tubes (unlike the Nutrafin kit). It loses a star for a few small points....1. No pipette or place to store one (unlike the Nutrafin kit). 2. all of the reagent bottles had a 2022 use by date except for the 2nd ammonia bottle, for some strange reason had a 2020 use by date???? 3. I find the colour chart for nitrates 10ppm and 20ppm to be virtually identical in colour and impossible to distinguish between the two when holding the test tube against it. Otherwise a good kit for the price. 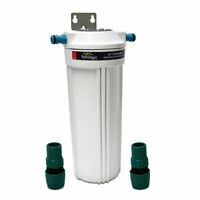 This Is a well designed product, ideal for checking water quality of your aquarium. Full instruction included and very easy to use. This product is good! 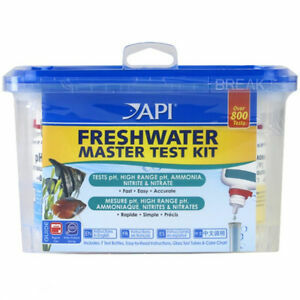 I use it to test my aquariums once a week. I find them to be more accurate than the test strips that are available. The only downside is like all test kits they are a bit on the pricey side in my opinion. Although they claim to do so many tests that is the total amount. 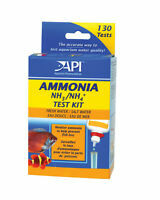 When you have a few set ups weekly testing becomes an expensive thing as each individual test does not last long - especially if a problem occurs in your water parameters e.g should you get a Nitrate spike ten drops of each of the two bottles required for this test does not go far, whereas the PH only requires three drops per test. Overall a better and more accurate product than strips. Good value for money, seems intimidating at first with all the different products and test tubes. In reality they have made the chemistry very simple while providing lots of information.